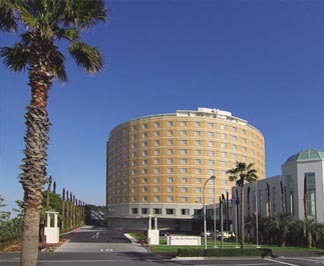 Rooms have Tokyo Disneyland views and panoramic ocean views. All rooms have high-speed internet access for free.Enjoy & Relax in our 5 restaurants, bars and swimming pool. Enjoy Hilton's most reputable meals. Based on history of American Dream back to 50`s. Our plesure rooms will satisfy you with comfortable Simmons bed and tempur pillow. Spaciou£ó dresser and wide bathroom will make you very relax. Very impressive round shape constructure, vaulted ceiling. Rooms with large window invites sun blessing, also warm and calm color interior. Shell-shaped bathtub is like floating on the sea. Enjoy bedrock bathing, open-air restaurants and other facilities. 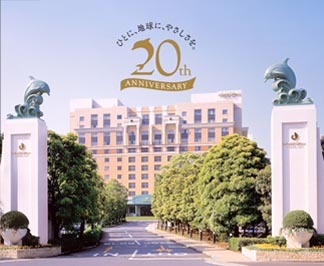 This hotel itself is 20th anniversary and is one of the highest class hotel in Japan. Palatial structure, with an elegant lobby and variety of rooms. We will provide Best Accommodation, Best Cuisine, Best Service! Come and discover our comfortable and magical surroundings. Our hotel is filled with light, greenery, and water. Almost every room has balcony and a view of either Tokyo Bay or Tokyo Disney Resort. 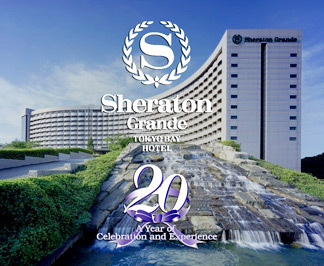 Also your room has Sheraton Sweet Sleeper(SM) Bed to ensure a great nights sleep. Nice access from Central Tokyo. Many traffic services are available for Narita & Haneda Airpot, major shopping area like Ginza, Shinjyuku, Akihabara and more. Ofcourse complimentary shuttle to park is available from each hotel. Surprisingly, you can enjoy Onsen(Hot Spring) in the vicinity. 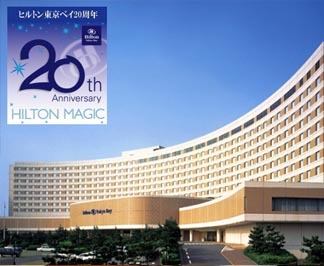 Staying at Official hotel will make this 25th year very commemorative. Guests staying at a Tokyo Disney Resort Official Hotel can enjoy the following benefits. For details, please check with the hotel. Official Hotel guests can purchase tickets for TDR right at their hotel. Official Hotel guests who have valid Park Passports are guaranteed admission to Disney Parks even during periods of restricted admission and peak visiting days. Up-to-the-minute information is available at the Official Hotels. Complimentary shuttle bus service is provided between the Official Hotels and Bayside Station on the Disney Resort Line. Shops inside the Official Hotels offer a wide range of Disney and other merchandise for gifts or souvenirs. 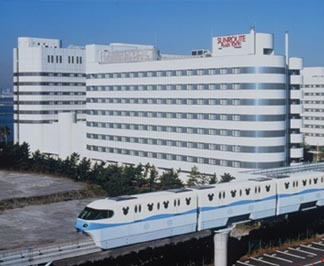 When official Hotel guests arrive at by train, they can have their belongings sent ahead to the Hotel from the Tokyo Disney Resort Welcome Center located next to JR Maihama Station. For a fee, Official Hotel guests may ship their purchases or other belongings home right from the hotel at the Home Delivery Service Counter. The Official Hotels are conveniently located next to both Disney Parks.